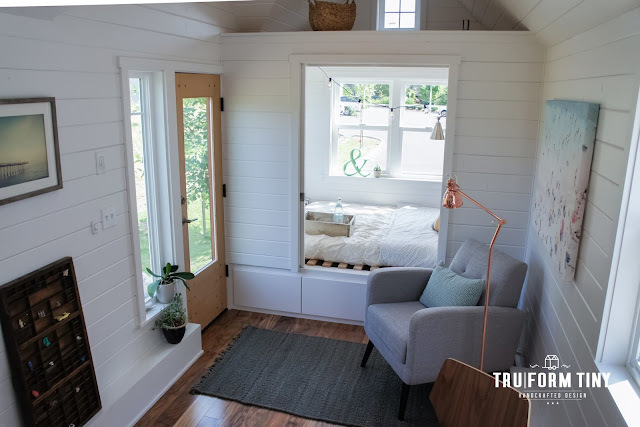 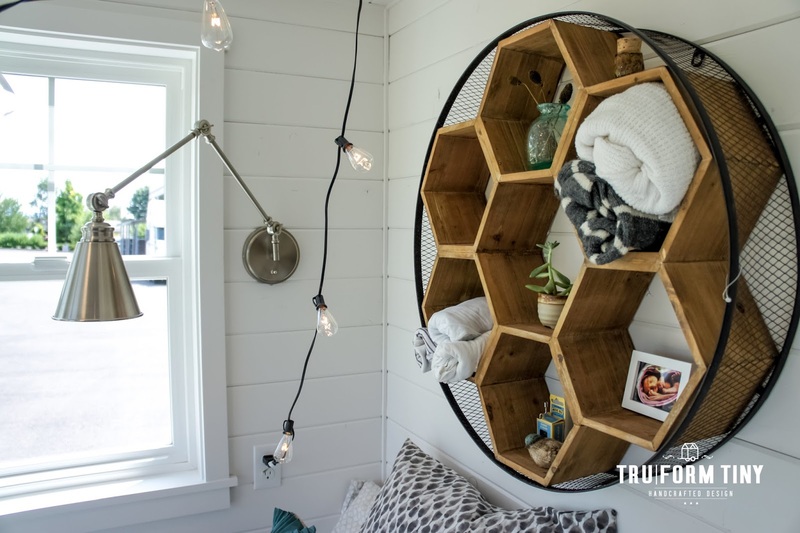 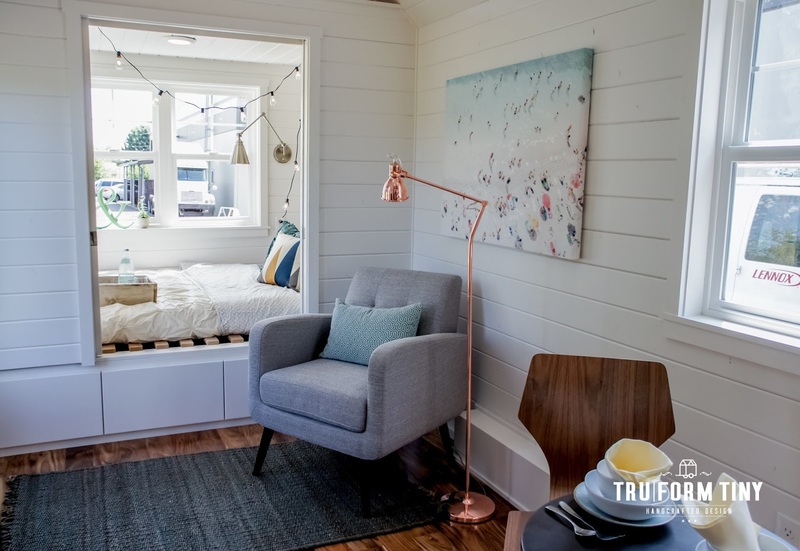 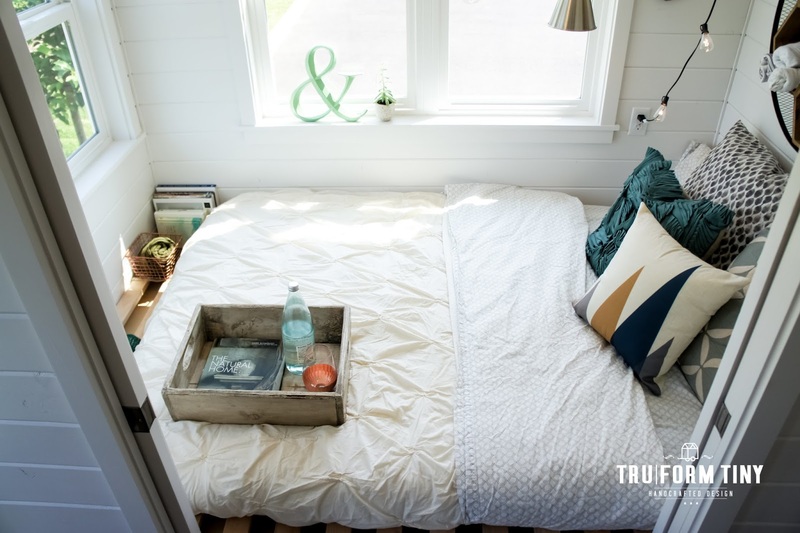 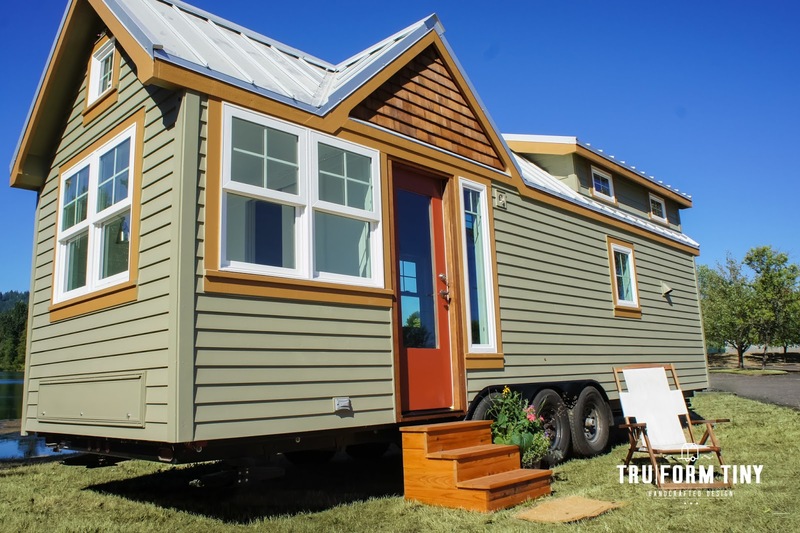 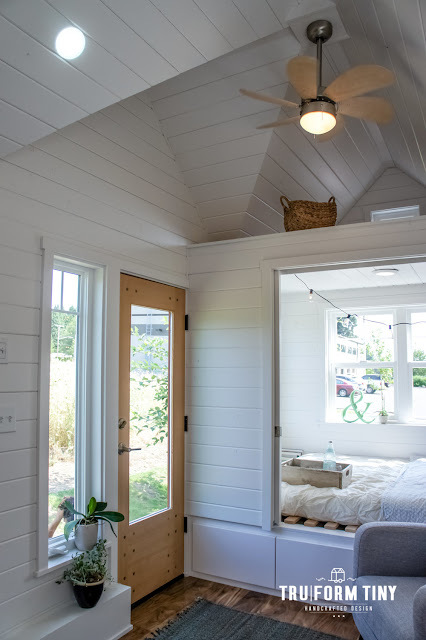 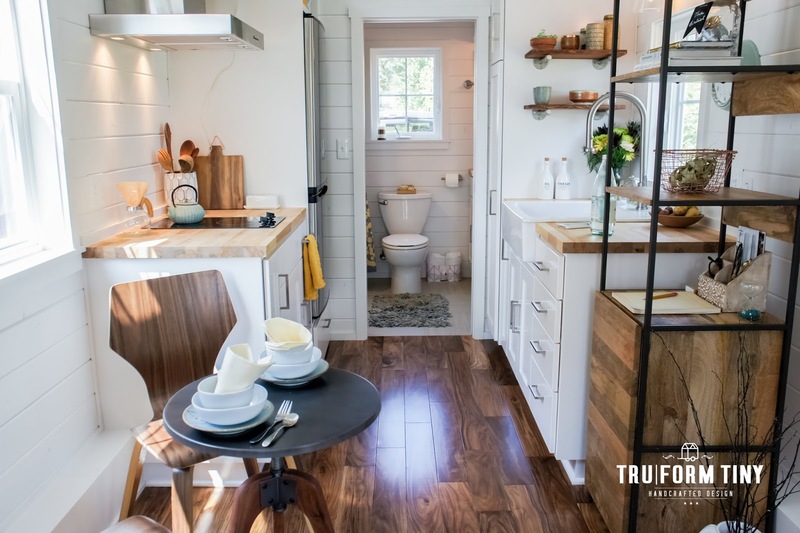 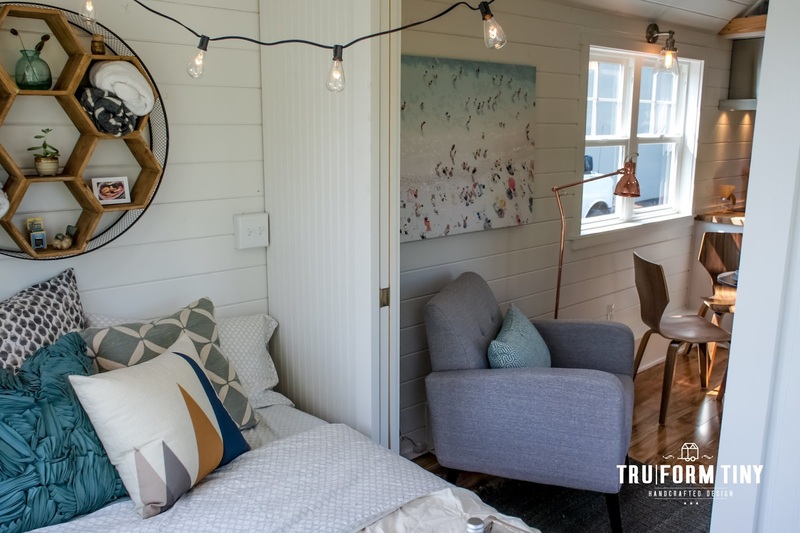 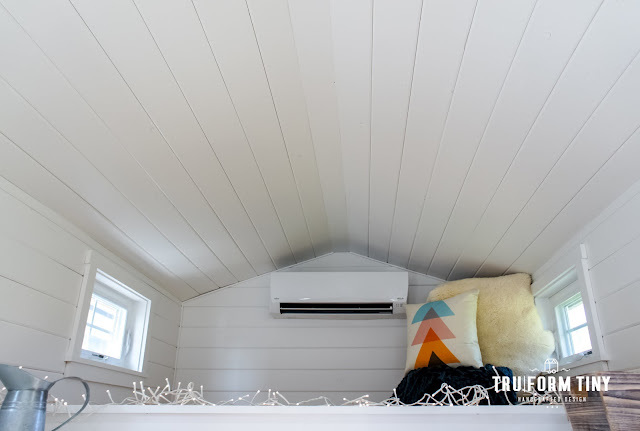 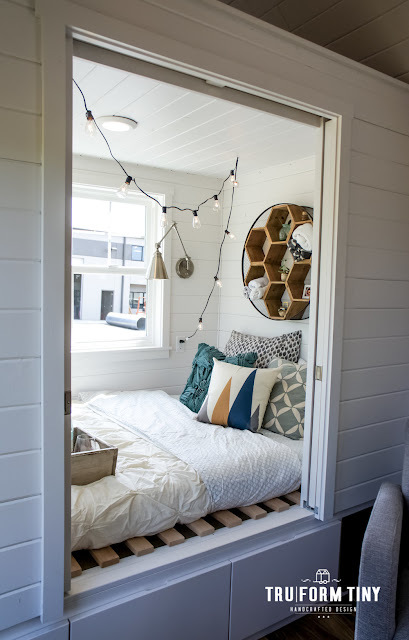 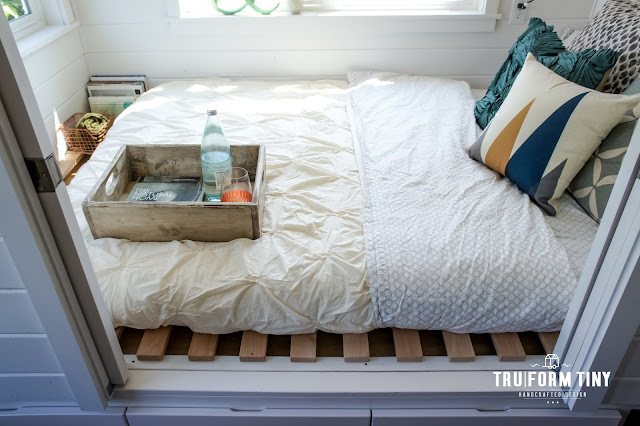 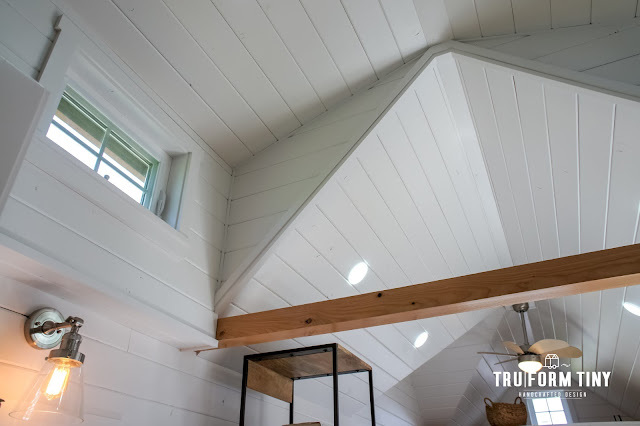 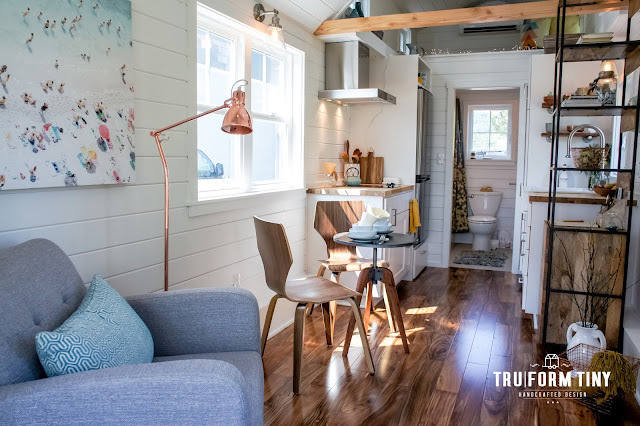 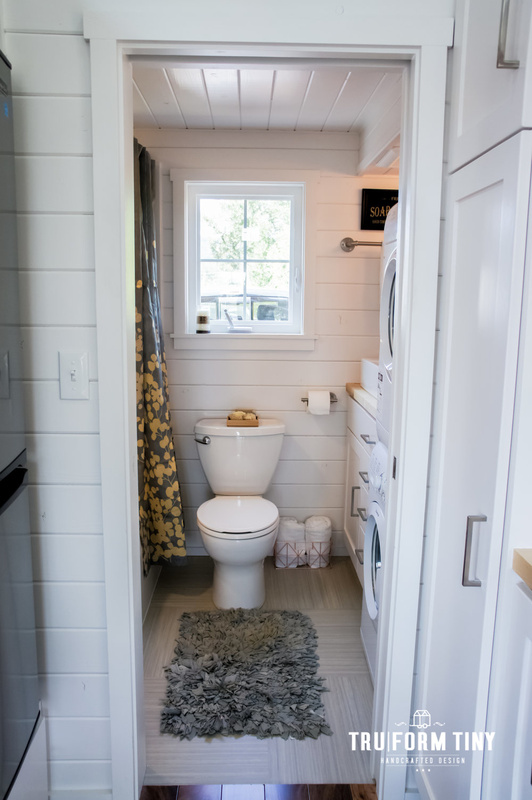 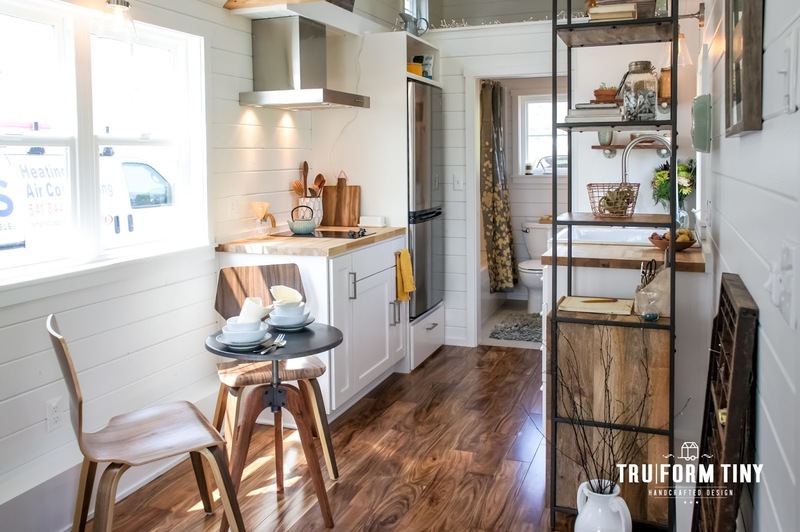 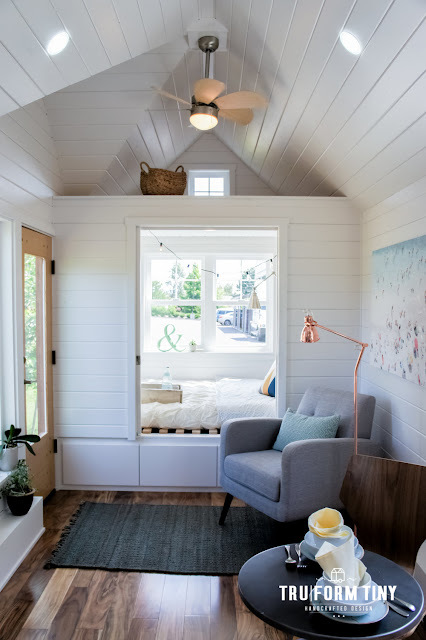 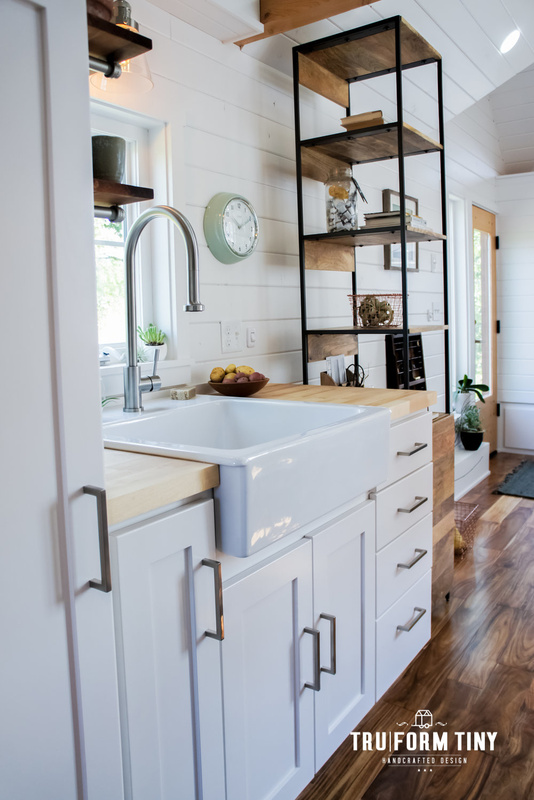 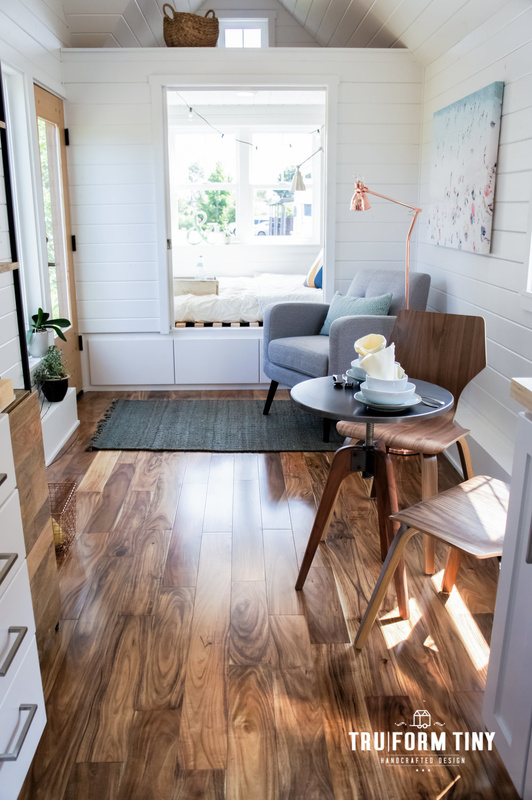 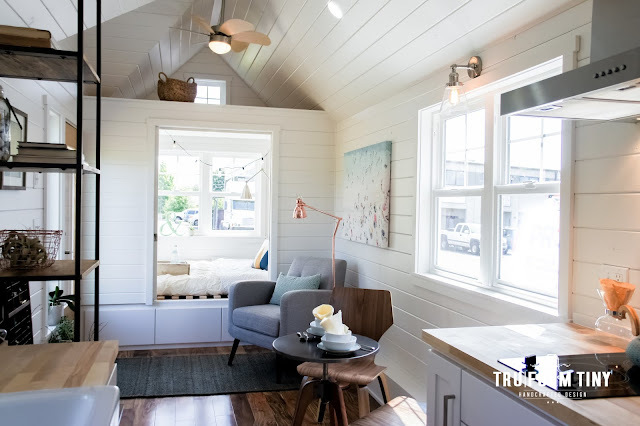 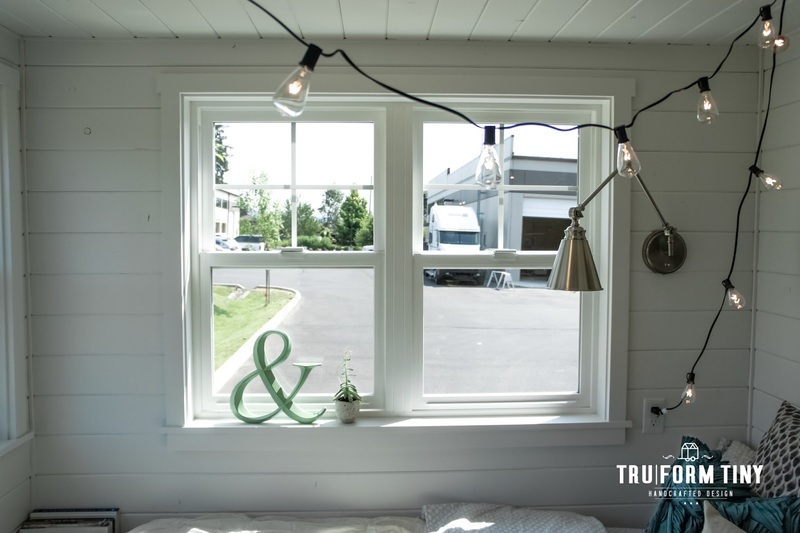 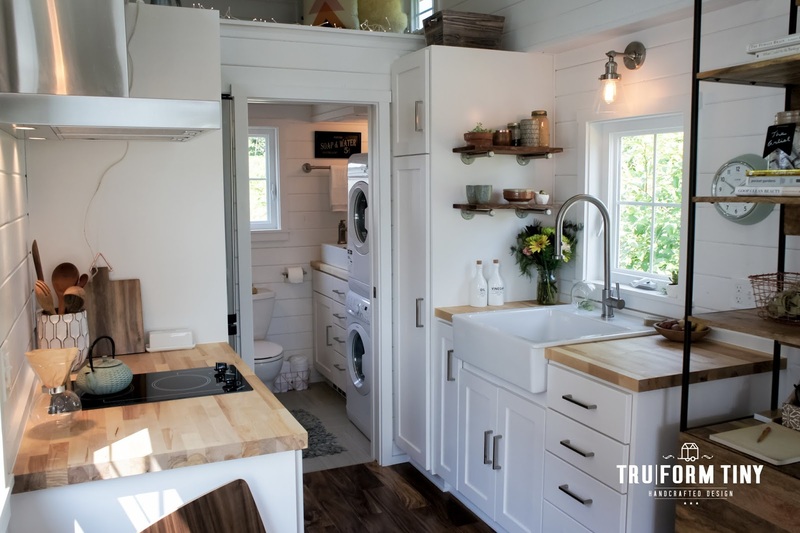 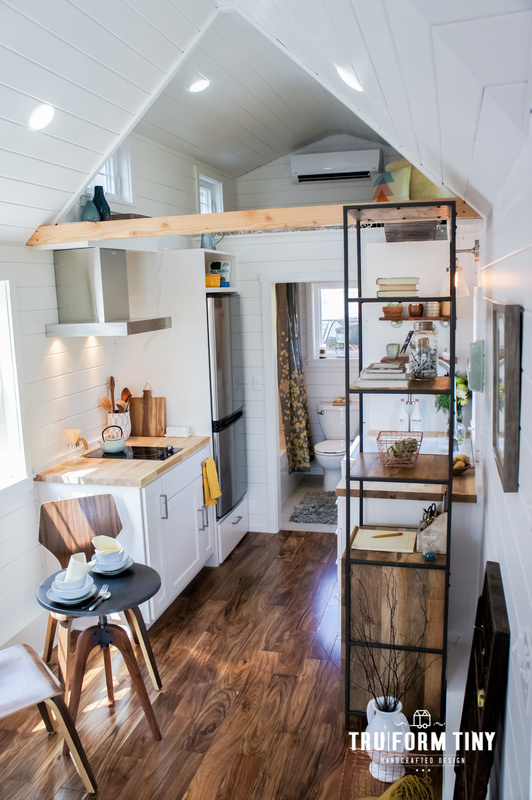 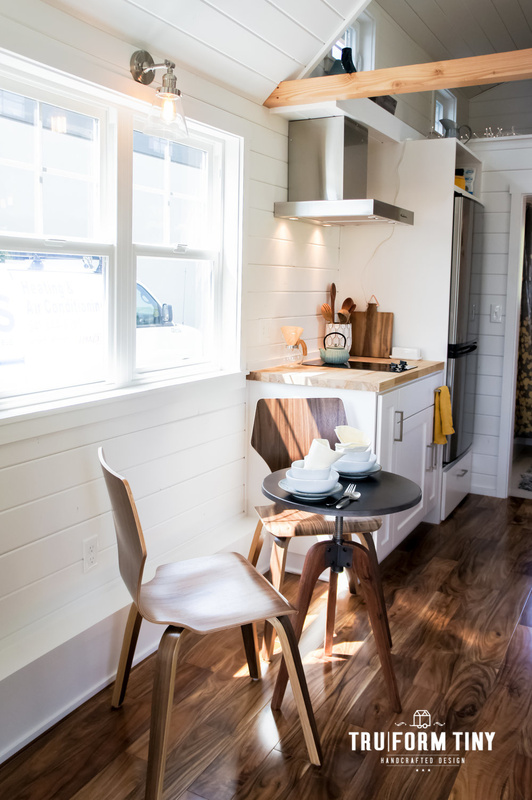 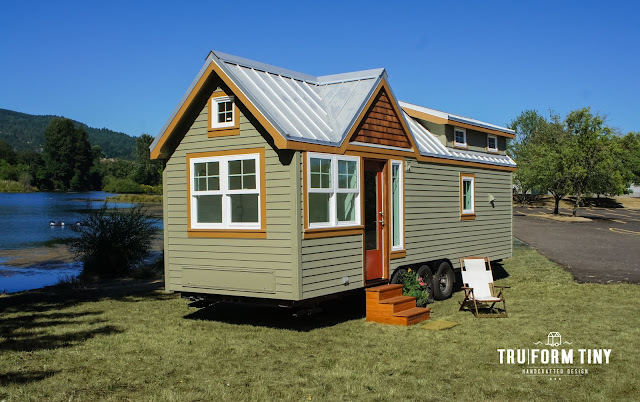 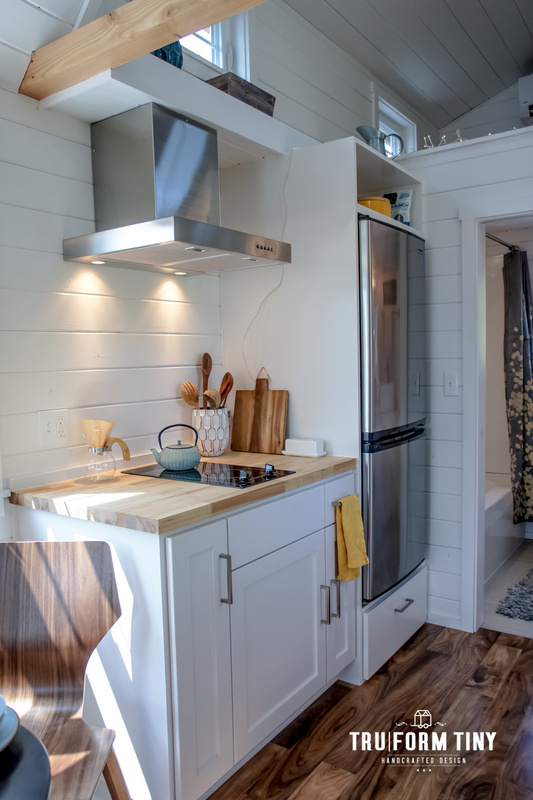 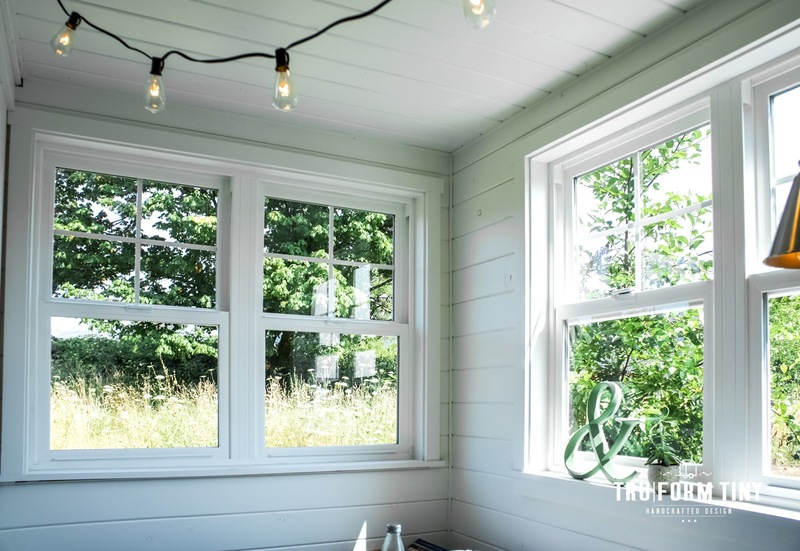 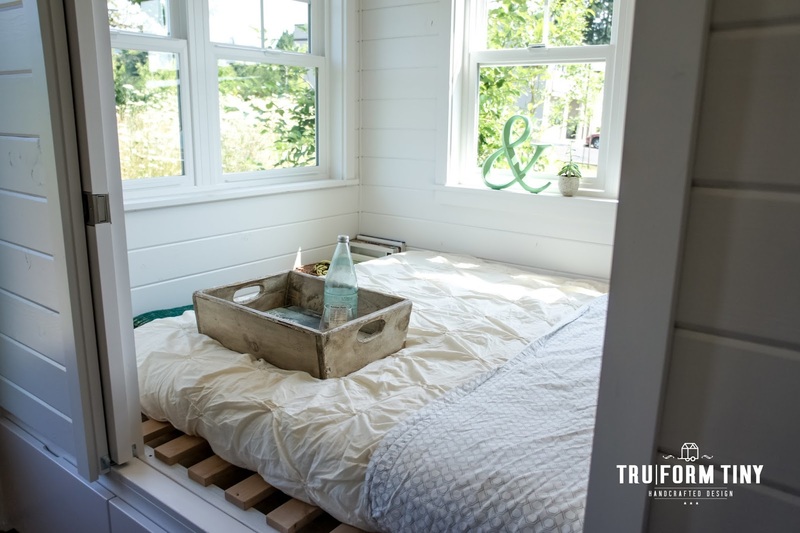 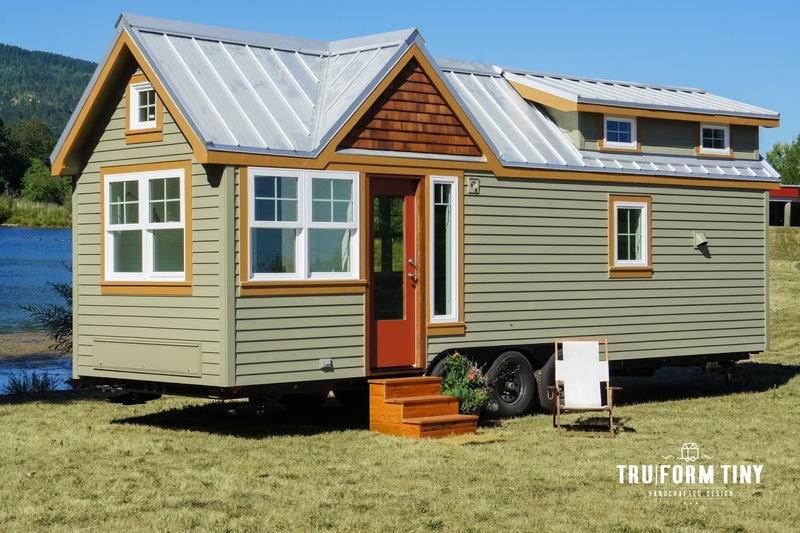 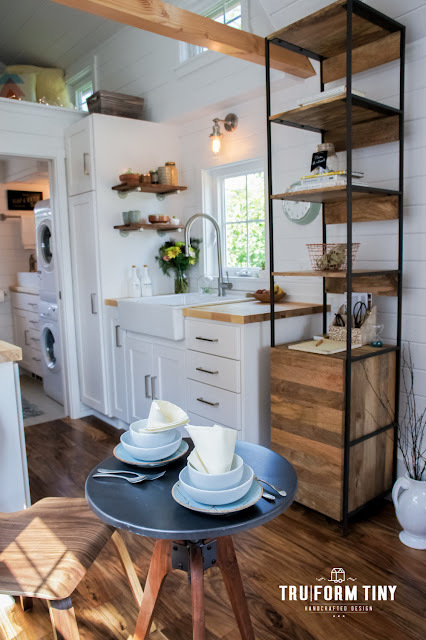 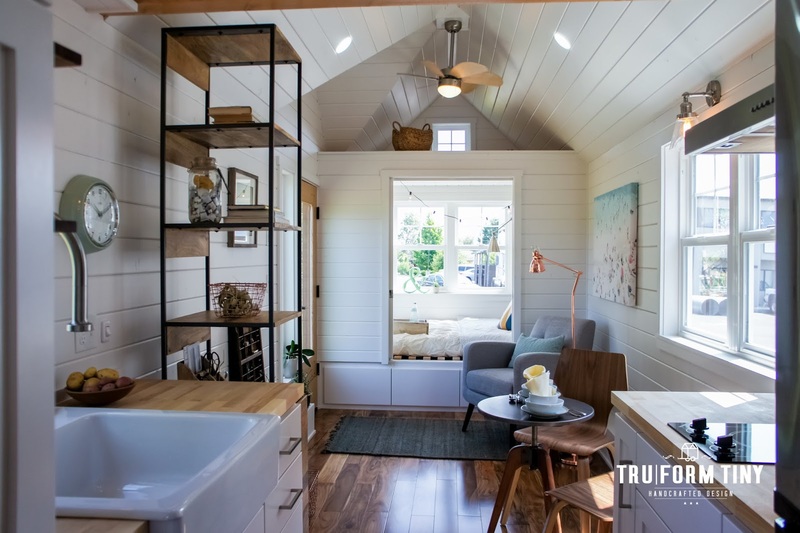 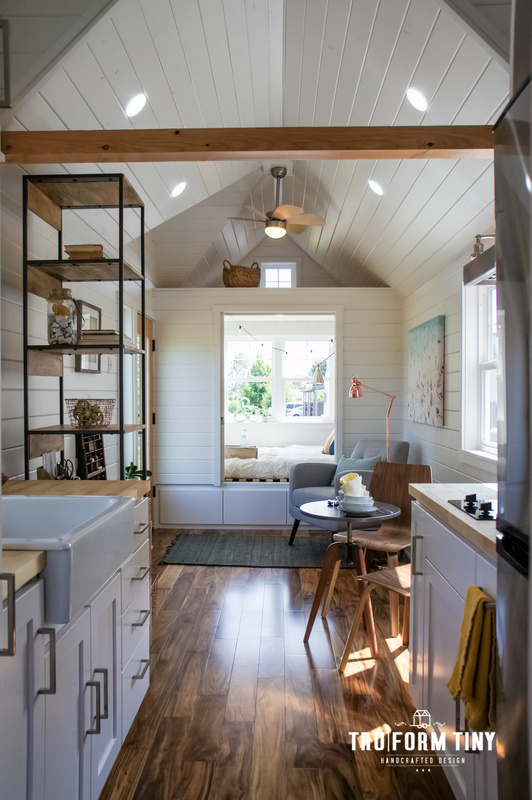 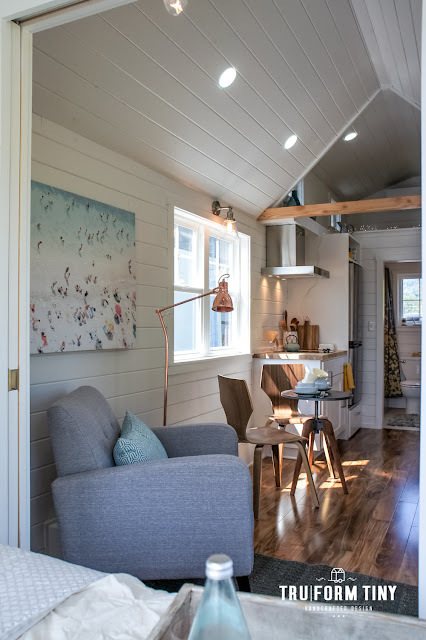 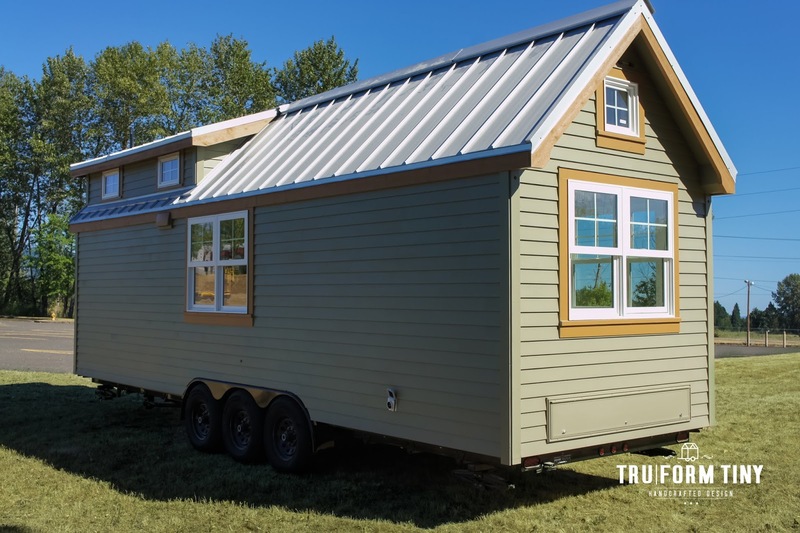 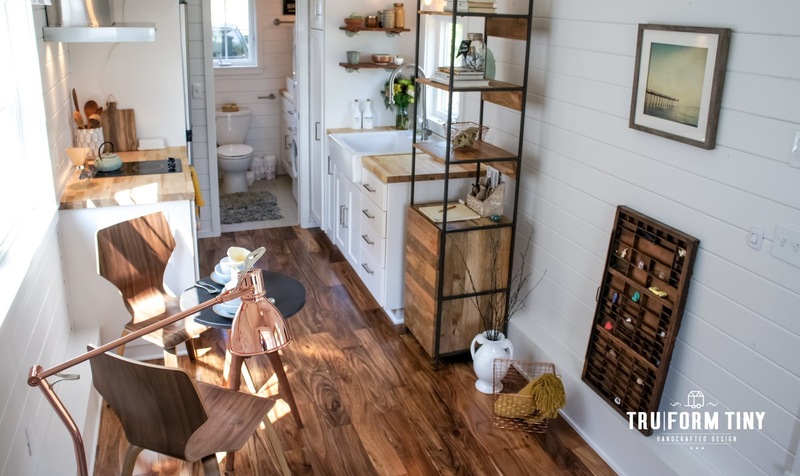 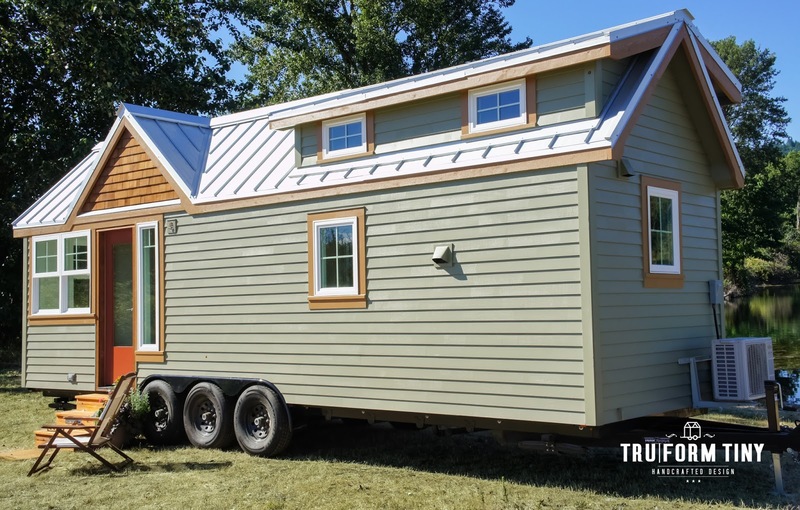 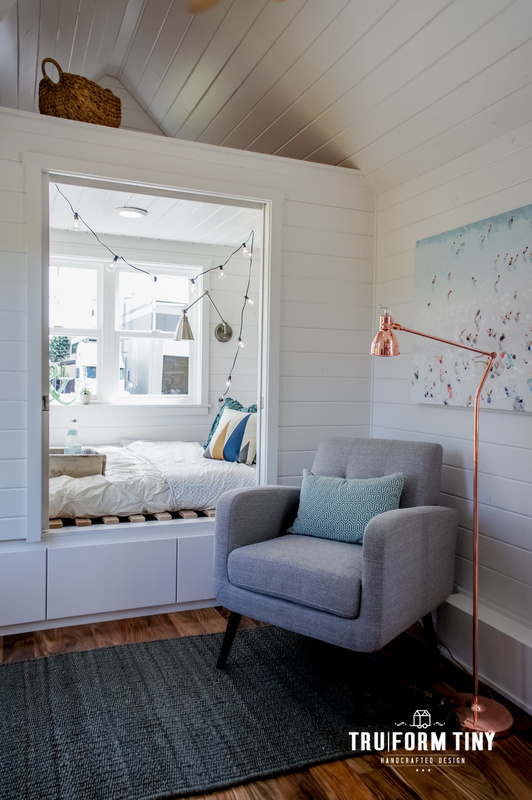 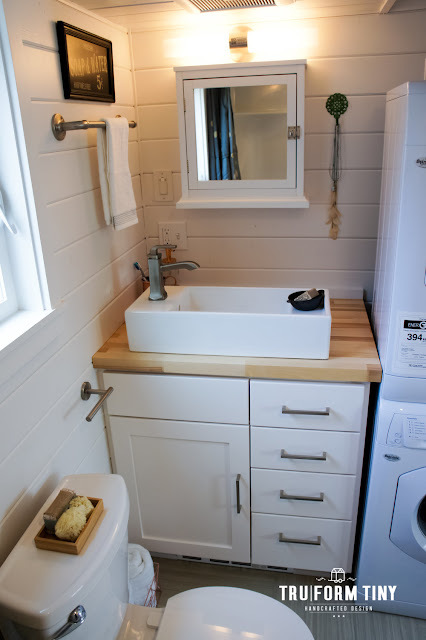 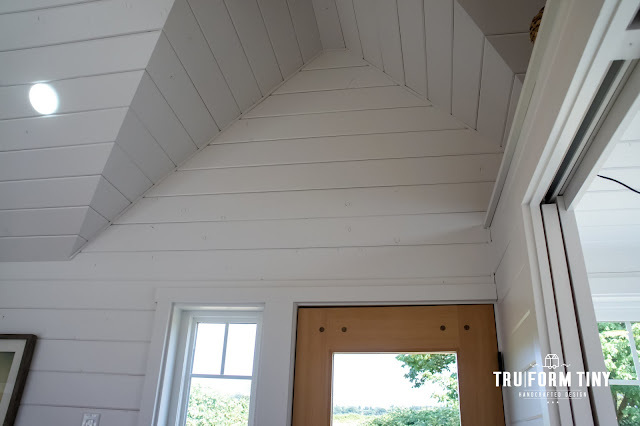 From TruForm Tiny Homes, is this charming 28' version of the company's Payette model. 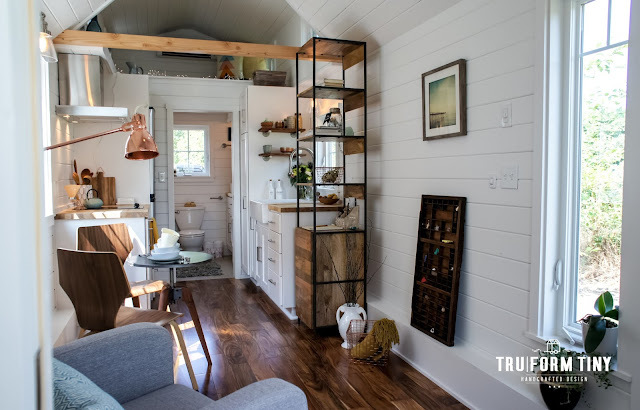 The home's 328 sq ft interior features a ground floor bedroom, a queen-sized loft bedroom, a full kitchen, living room, and bathroom. 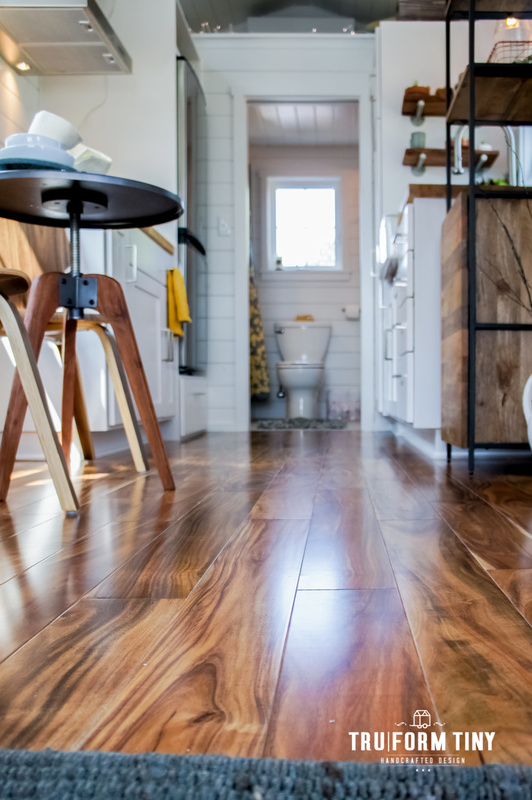 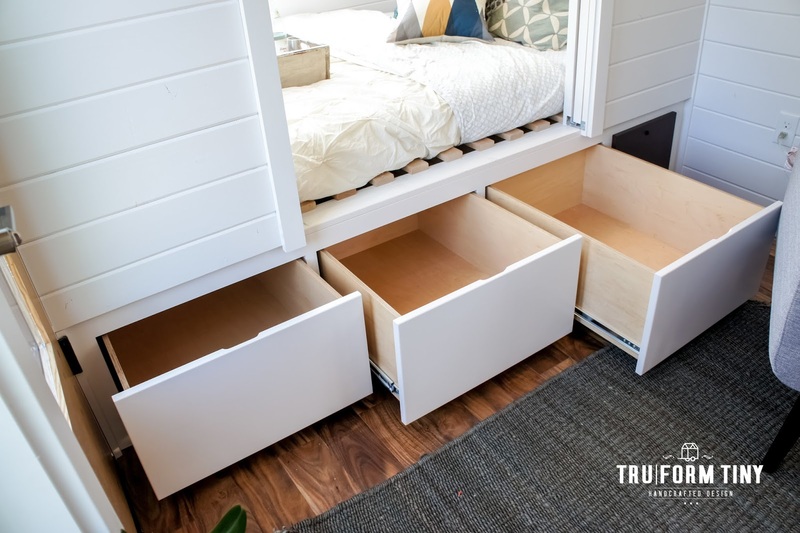 There's also an abundance of storage available throughout the home including a storage loft, drawer storage under the home's ground floor bed, and kitchen storage. 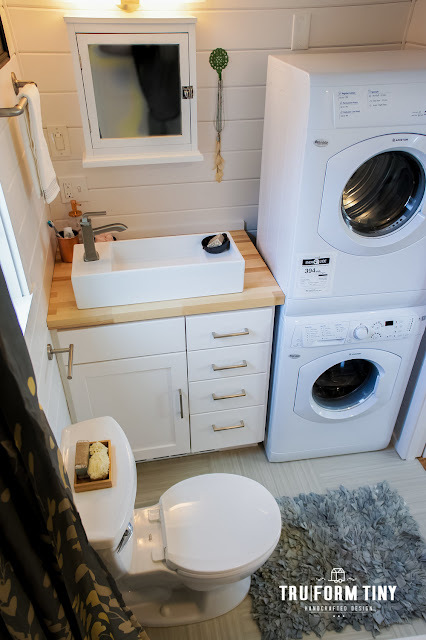 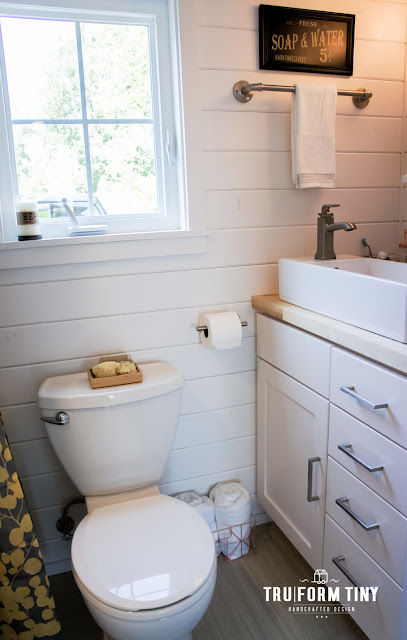 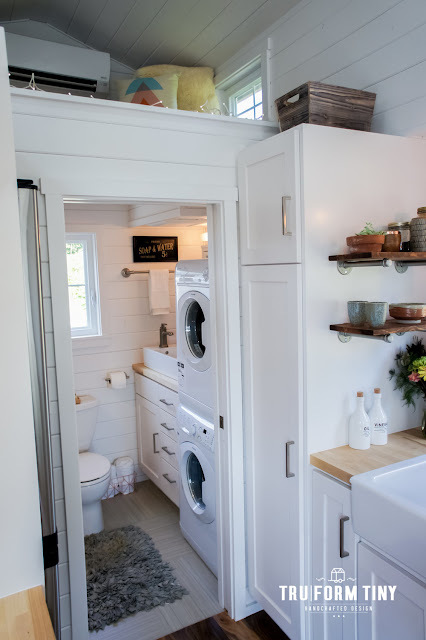 There's even a washer and dryer available in the home's bathroom! 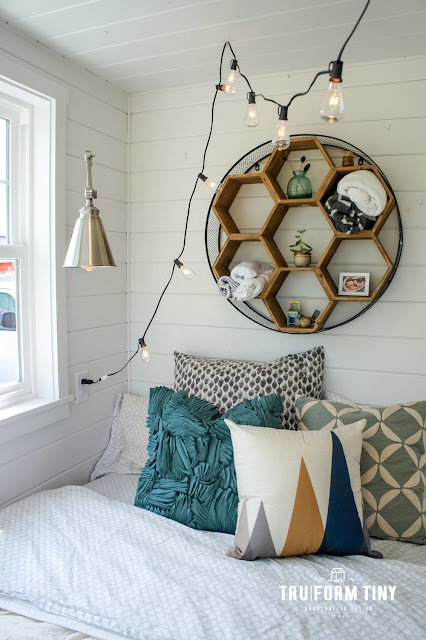 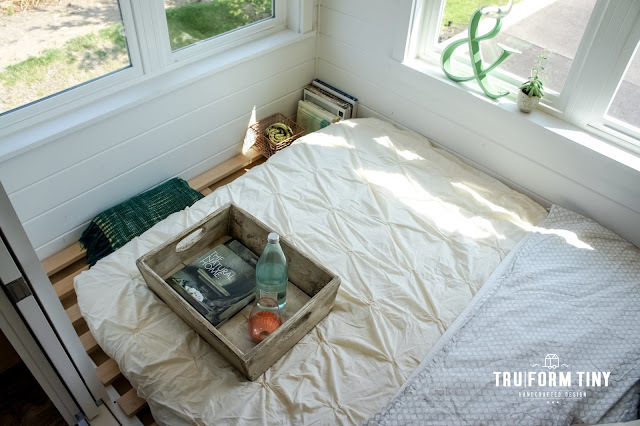 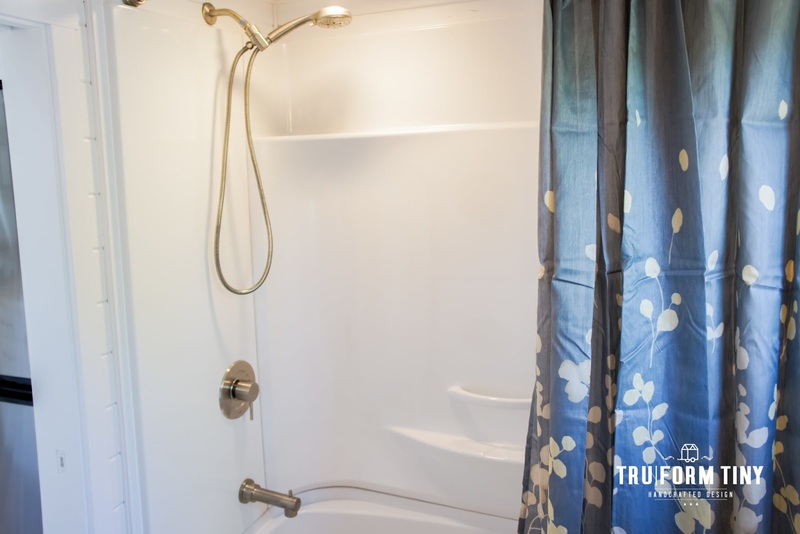 Contact Truform Tiny Homes here for additional information and/or inquiries! 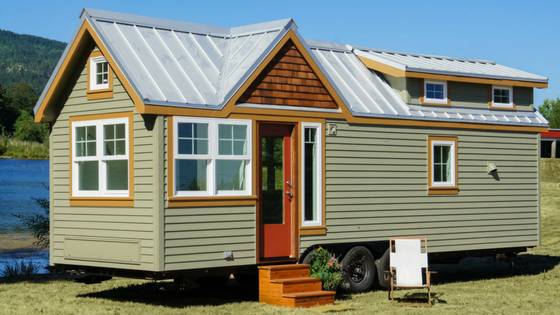 You can also view their version one and version two of their Payette models!